Elite Nails Hand, Foot and Body Spa: The Steps to Achieve an Amazing Set of Hands and Nails, Revealed! The Steps to Achieve an Amazing Set of Hands and Nails, Revealed! Hello Elite Nails Spa lovers, how's your weekend going so far? We hope that your plans are working out the way you want it to be. Anyway, here's a blog we want to share with you today because for years of blogging, we rarely talk about the amazing step-by-step procedures of how our awesome services are being done to delight our clients. Here at Elite Nails Spa, we wanted to make a commitment that we are giving the highest value to your hard-earned money, be in the know if you’re getting your money’s worth. 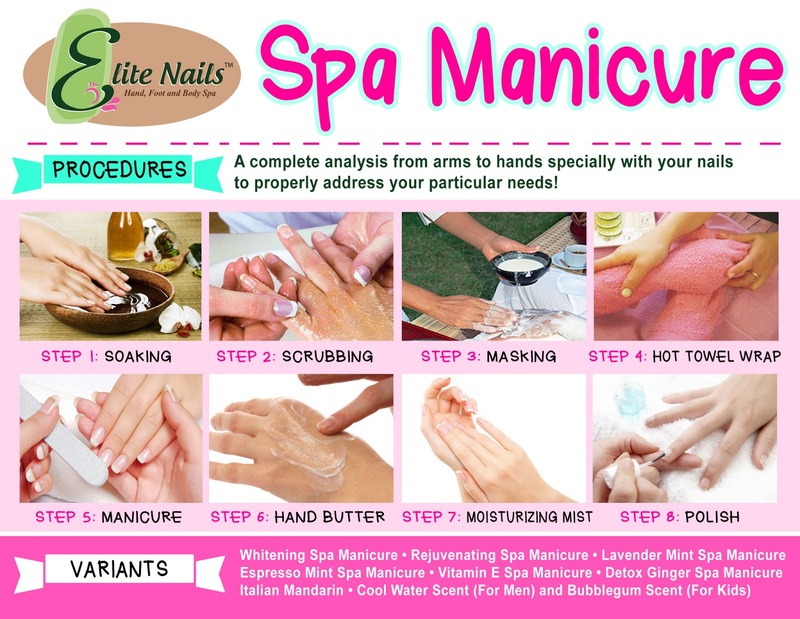 Today, let’s talk about the procedures of our Hand Spa Manicure.